The High Tatras are a mountain range that span the border between Poland and Slovakia. This region attracts hikers in the summer and skiers in the winter and is rapidly increasing in popularity. 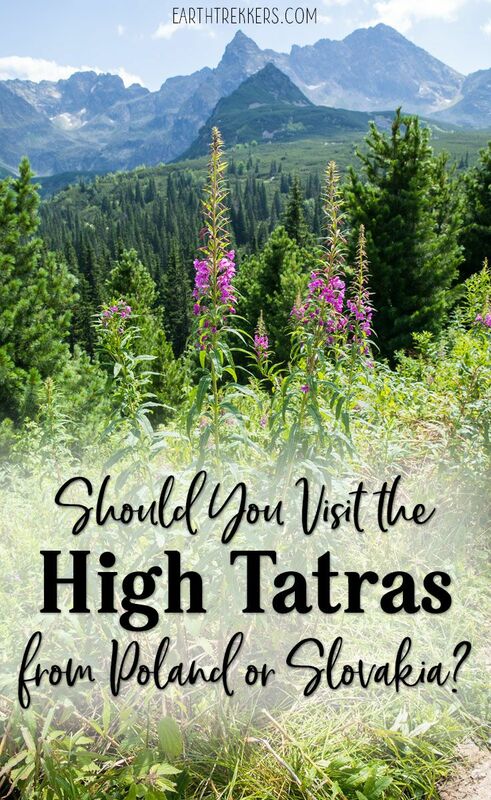 You can visit the High Tatras from Poland or Slovakia. 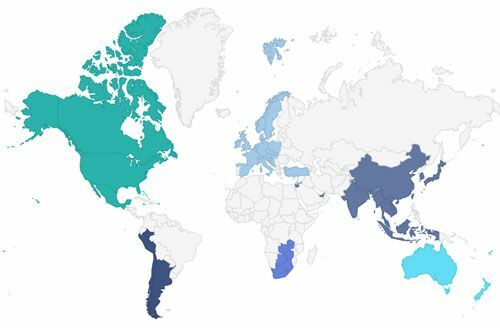 Which one you choose depends on your traveling style and how much time you have to spend here. The Tatras are located in the Carpathian Mountains. The Carpathian Mountains are the second longest mountain range in Europe, stretching from the Czech Republic, across Poland and Slovakia, to Serbia, Romania, and Moldova. The highest peak in the Tatras (and the Capathian Mountains) is Gerlachovsky štít at 2,655 meters. Lomnicky štít (2,633 meters), the third highest peak in the Carpathian Mountains, is easily accessible from a cable car in Slovakia. 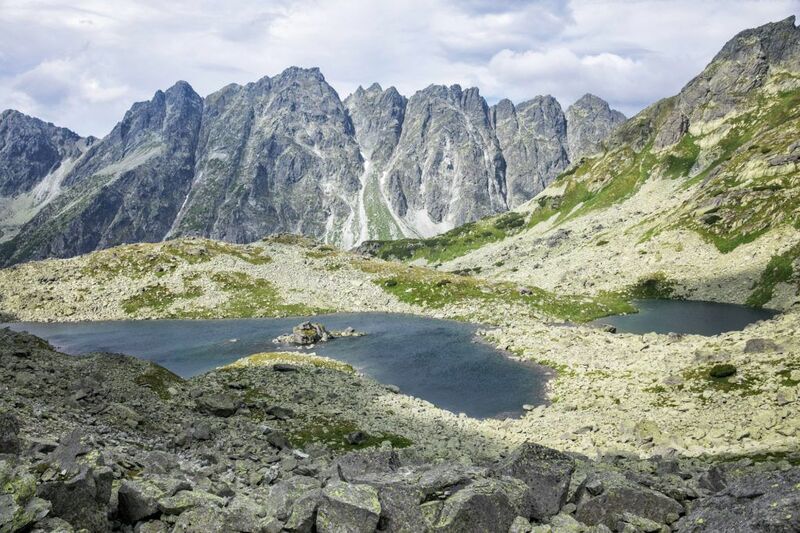 If you are planning to hike the Tatras, the best time to do so is from June 15 through September. Some trails will remain open until the end of October, depending on snowfall. 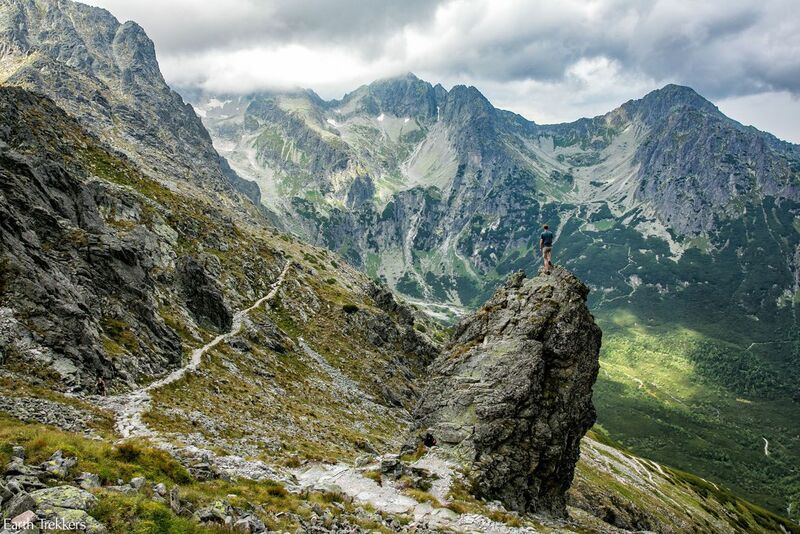 The Tatras are quickly growing as a popular hiking destination in Europe. 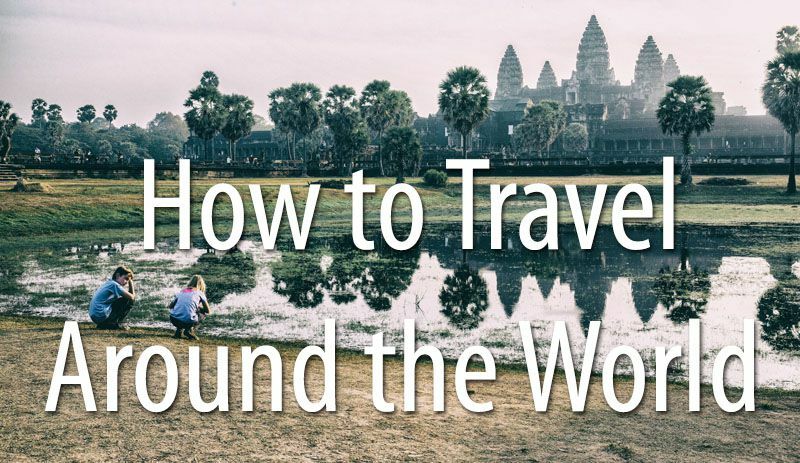 Many sources list this as an off-the-beaten-path destination, but that’s not necessarily the case. 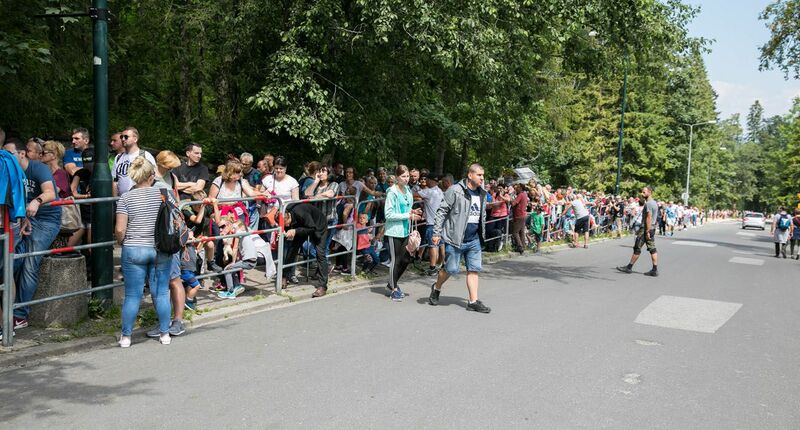 It can still be a very busy place during the summer months, especially Zakopane, Poland. 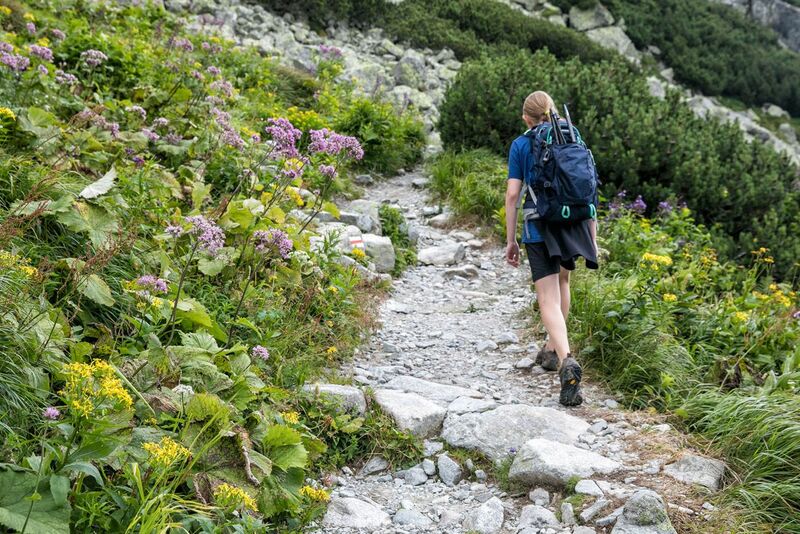 The Tatras may not get the same crowd levels as other hiking destinations in Europe, but the trails in the Tatras can be quite busy during the summer months. When visiting the Tatras, you can do so from either Zakopane, Poland or from Slovakia. Here are the advantages and disadvantages of visiting the Tatras from either place. Zakopane is a large town in southern Poland that sits right at the foothills of the Tatras. For most people, this is the gateway into the Tatras since it easy to get to and located near a major city (Krakow). 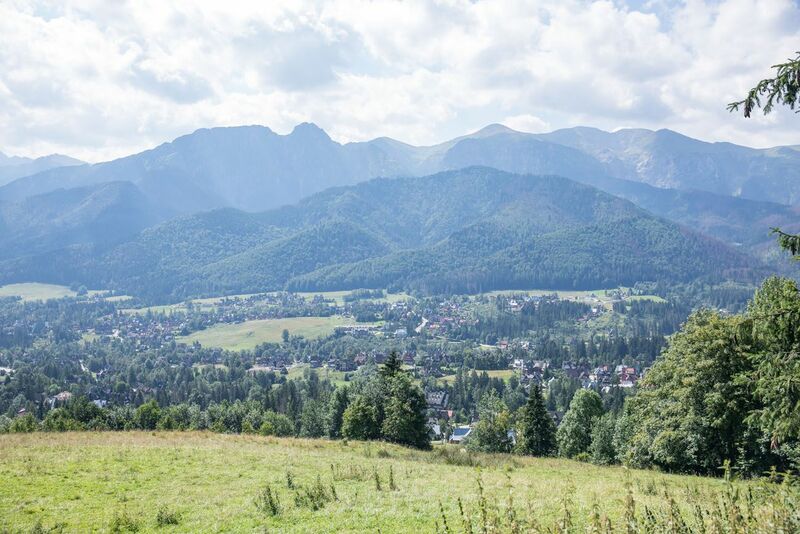 Because of its close proximity to Krakow, Zakopane can be visited on a day trip. It takes 1.5 to 2 hours to travel between Krakow and Zakopane, so it is possible to visit the Tatras on a day trip from Krakow. 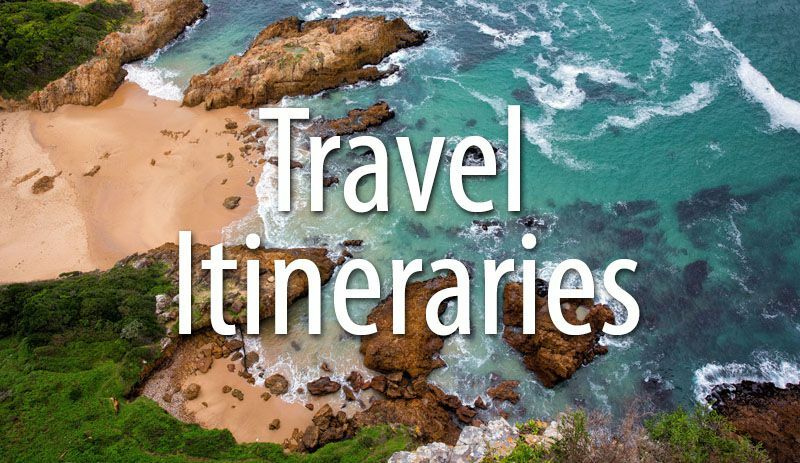 You can join a one-day tour or rent a car and set off on your own. 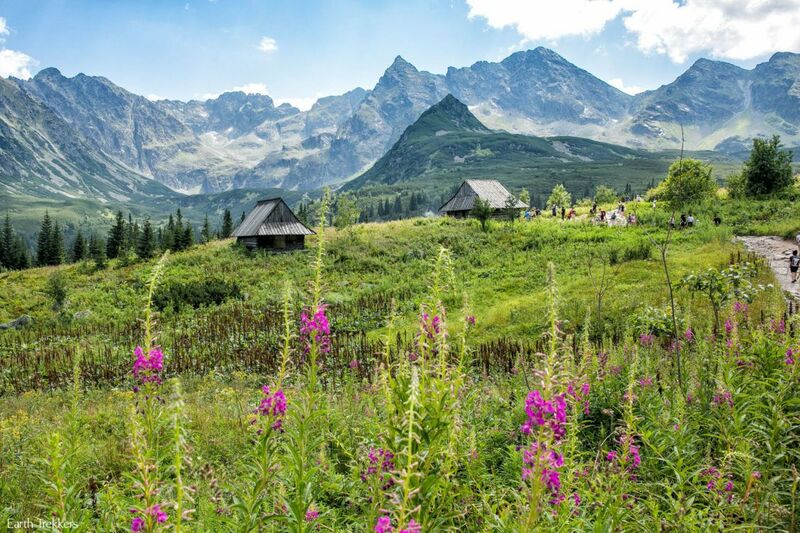 If you have limited time in Poland, it only takes one extra day to “squeeze in” the Tatras (and it’s worth it!). The easiest way to get to Zakopane is by car. It takes 1.5 to 2 hours to drive from Krakow to Zakopane. However, if you don’t have a car, there are numerous options to get to Zakopane by public transportation: take the bus, take the train, or join a tour. Click here to learn more about using public transportation. Zakopane has been a popular destination in Poland for quite some time. 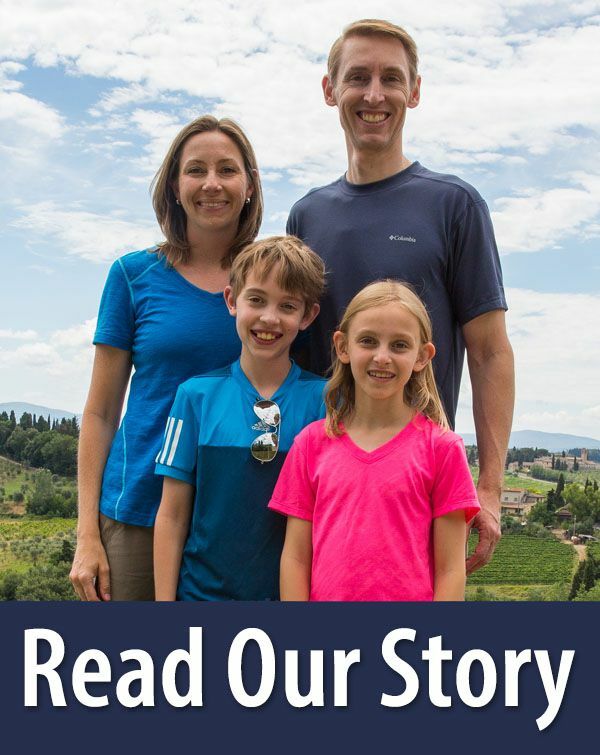 With that, the town has slowly expanded and has a well-established tourist infrastructure and an abundance of restaurants and hotels to choose from. A view of Zakopane and the Tatras on the drive down from Krakow. Hiking trail to Czarny Staw in Poland. Hiking in the Polish Tatras. With Zakopane’s popularity, it is also busier and more touristy. Traffic jams between Krakow and Zakopane are very common during the summer months. There is one cable car that you can take up into the mountains, the Kasprowy Wierch cable car, and during the summer months, expect massive lines and hours of waiting in line to board the cable car. 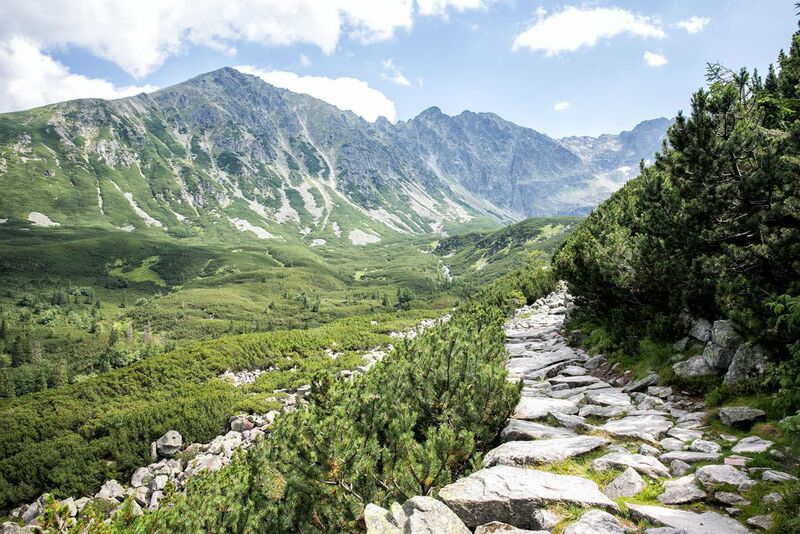 In our experience, the hiking trails were much more crowded on the Polish side of the Tatras. 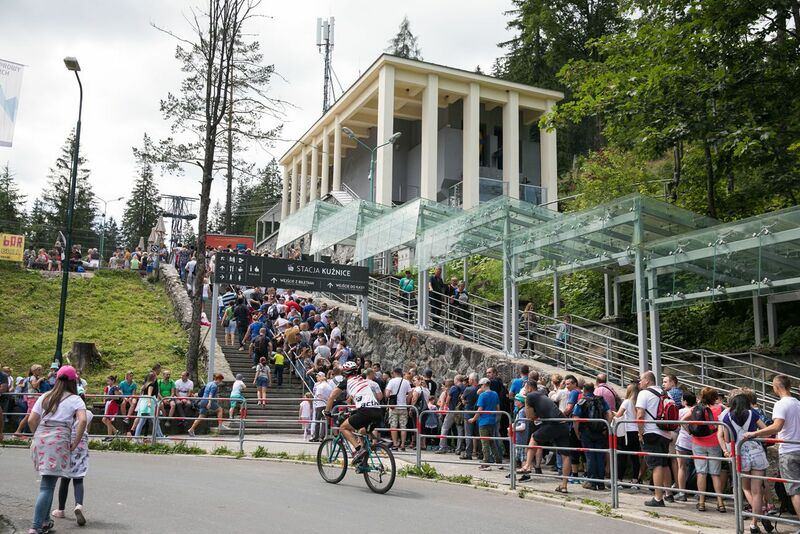 The line to board the Kasprowy Wierch cable car. On the Slovakian side of the Tatras, take your pick from several small towns as your home base. It takes longer to get to the Tatras of Slovakia, but it is quieter, less crowded, and less touristy on this side of the Tatras. Since it takes longer to drive to the High Tatras of Slovakia, there are fewer people here. And since it does not work as a day trip option from Bratislava or Krakow, day trippers do not to add to the crowd levels. The trails are less crowded and the lines for the cable cars are much shorter. It feels more peaceful on this side of the mountain range. If you want a fantastic hiking destination away from the crowds, it is worth the extra time to drive to the Slovakian side of the Tatras. The hiking options on both the Polish side and the Slovakian side of the Tatras are phenomenal. However, we felt like there were more options to choose from on the Slovakian side. In Slovakia, there are multiple cable cars that you can ride up into the mountains. This makes hiking accessible for many people. By eliminating the first major climb, cable cars save you lots of time and effort. Spend your time up on the mountain peaks, and then hike or ride the cable cars back into town. And with several to choose from, you spend several days exploring the Slovakian side by riding the cable cars and going on short hikes. Again, the hiking is amazing in both countries. 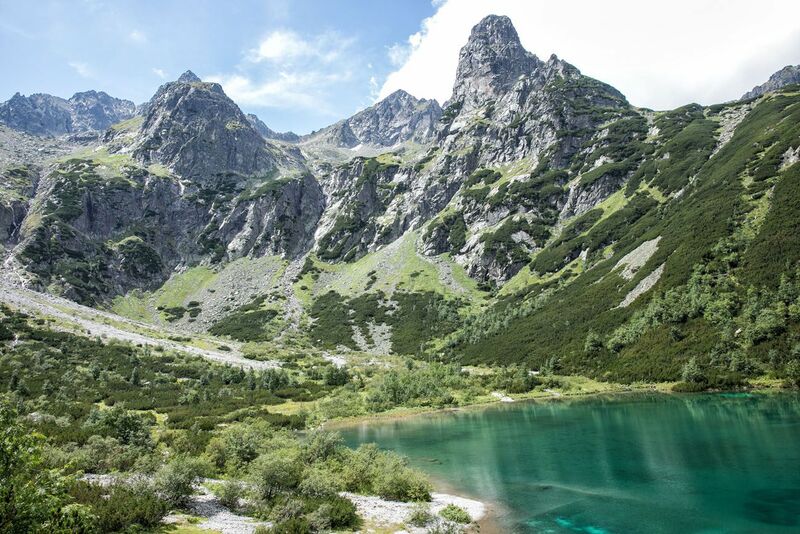 But the majority of the Tatras mountain range is located on the Slovakian side, so if you really want to hike high into the mountains and witness some dramatic scenery, the Slovakias side is ideal. From Slovakia, you can ride a cable car from Tatranská Lomnica to Lomnicky štít, the third highest peak in the Tatras. 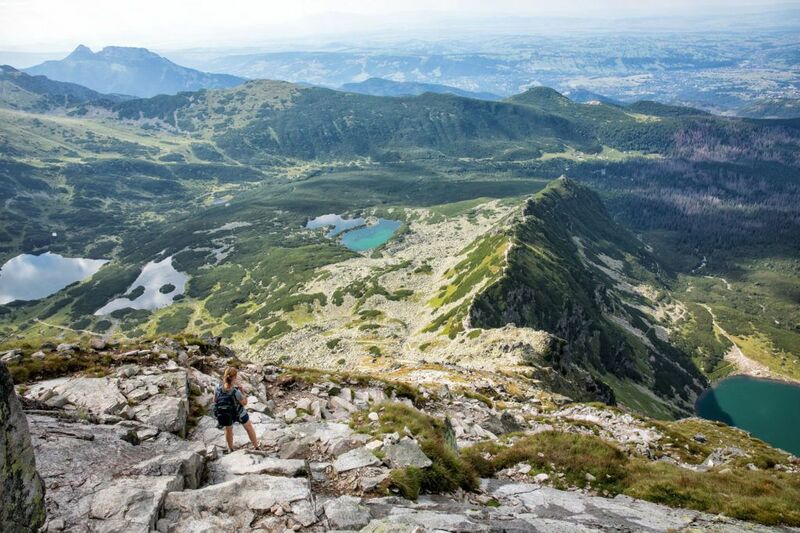 Hike to the peak of Rysy, the tallest peak of Poland, from the Slovakia side of the High Tatras. You can also summit Gerlachovsky štít, the highest mountain in the High Tatras, if you hire a certified mountain guide. Hiking to Zelene Pleso in Slovakia. A hotel in the High Tatras of Slovakia. The High Tatras of Slovakia are more remote than Zakopane. The closest city is Krakow, 2.5 hours away by car. The next closest city is Bratislava, but that is over 3 hours away by car. You can get here by public bus or train, but to do so, expect several transfers along the way. The most convenient way to tour the High Tatras of Slovakia is by car, although you can also get around by bus. From Krakow and Bratislava, the High Tatras of Slovakia are not a great day trip option since it takes longer to get here. However, there is an advantage to this. This helps keep crowds lower since you need to stay here in order to hike the trails. If you are staying in Zakopane, you can day trip to the Slovakian side. From Zakopane, it only takes one hour to drive to Tatranská Lomnica, one of several small towns that sit at the foothills of the High Tatras. Since a day trip to the Slovakian Tatras from Bratislava or Krakow is not a great option, you will need to spend several days here. Two days are just enough to hike one or two trails and ride a cable car into the mountains. Three days is better and four or more days would be perfect. We spent 3 days on the Slovakian side and I wish that we had another day or two. There is so much to do here, especially if you are an avid hiker. 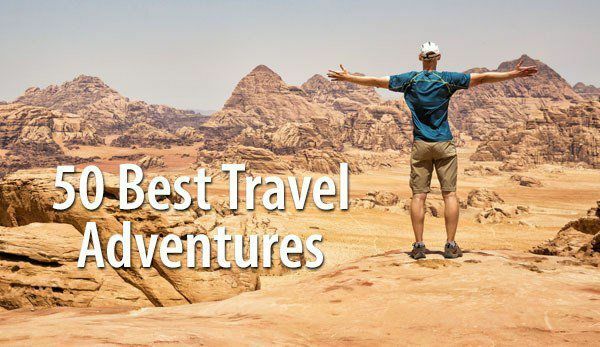 Plus, a little more time gives you “contingency days,” just in case you get rainy weather or cloudy days (those clouds hide the mountain peaks and your views once you get up there). Hiking to Rysy in Slovakia. So, Which One Do You Choose? 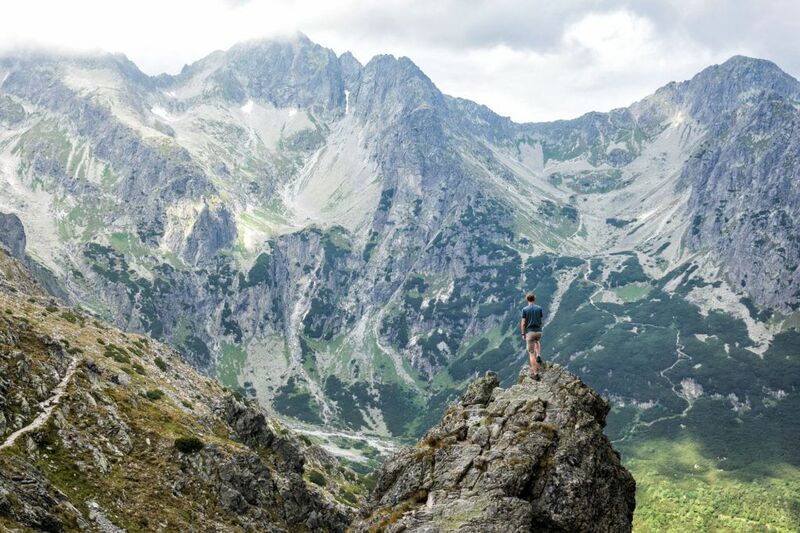 If you only have the time or the desire to get a glimpse of the Tatras, the easiest way to do it is on a day trip from Krakow to Zakopane. If you are dependent on public transportation, you’ll have an easier time getting to Zakopane than Slovakia. 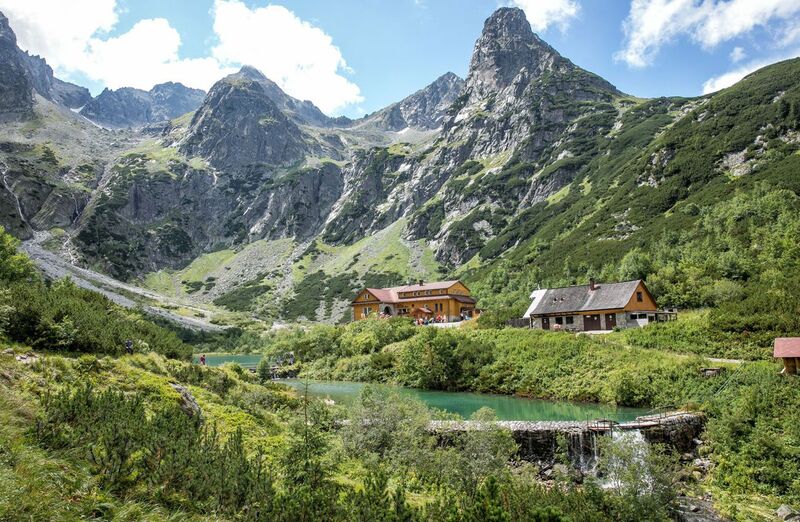 If you want a quieter, less crowded experience, visit the Tatras of Slovakia. If you are an avid hiker, the Slovakian Tatras give you more options and are more dramatic. If you have three or more days, go to both. Both are wonderful. We really loved the hike we did to Koscielec. I’m bummed we missed hiking to Swinica Peak (the trail was closed during our visit) but Koscielec was a wonderful consolation prize. The emerald green lakes, the wildflowers, the mountain huts…it was hiking paradise. But we also loved the smaller, quieter towns in Slovakia, more hikes to vividly green alpine lakes, and the views across the mountain range in the Tatras of Slovakia. Because of its quieter, more off-the-beaten-path feel, we preferred the Slovakian side over Zakopane. The view from Koscielec in the Polish Tatras. If you have three or more days, here’s how you could spend your time. Day 1: Get a very early start (leave by 7 am) and drive to Zakopane from Krakow. Hike the Tatras on the Polish side, have dinner in Zakopane, and drive to Tatranska Lomnica or one of the other towns in Slovakia (I hour, 54 km). Day 2, 3 & 4: Hike the High Tatras on the Slovakian side and/or ride the cable car to Lomnicky štít (if the skies are clear). Return to Krakow or continue to Bratislava. Zelene Pleso in the High Tatras of Slovakia. Are you planning a trip to the High Tatras? Comment below if you have any questions. 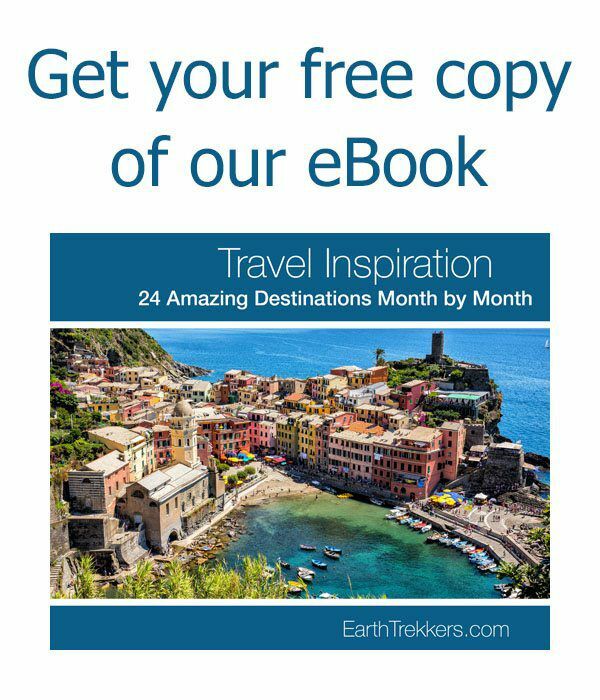 Planning a trip to Poland or Slovakia? 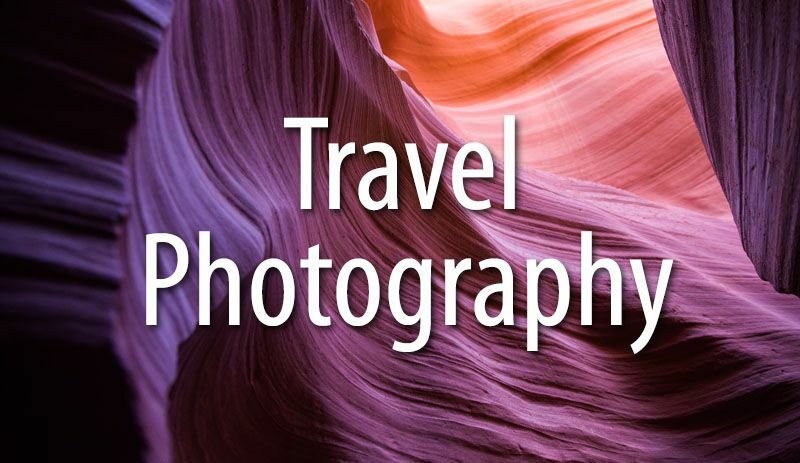 Read all of our articles in our Poland Destination Guide or Slovakia Destination Guide.